News - Is the TPS fit for purpose? Is the Telephone Preference Service (TPS) fit for purpose? There have been many critics of the TPS over the last year or so, but are they right to complain that the “TPS doesn’t work”? The TPS does not physically block calls and it’s this misunderstanding that causes many people to complain about its so called ineffectiveness. The Privacy Electronic Communications Regulations (PECR) makes it illegal to contact someone who are registered on the TPS without their prior consent. Cold calling someone registered on the TPS (we're not getting into the issues of consent for now) is therefore against the law, just as it is against the law to speed. Many of us drive, we are aware of speed signs and what they are for, but the speed signs don't physically stop us speeding. Every time you break the law when you speed, you run the risk of being caught and this is where the system for the TPS falls down, the catching of the offenders. 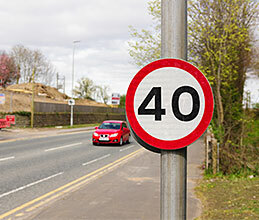 If you were able to drive without number plates then the process of catching speeding cars would be totally ineffective and a culture of speeding would ensue. When someone breaks the law and calls someone registered on the TPS the problem lays not with the TPS being ineffective, but with the methods of detection being ineffective. The telephony networks, regulated by OFCOM, are collectively failing miserably in the co-ordination and exchange of the information necessary for quick and decisive detection of the companies breaching PECR. Around Christmas 2015 we received a call from an 86 year old woman complaining about being hounded by a particular number. As it was the season of goodwill, we were naturally eager to try and help her. We contacted the police, they weren't interested at all saying “...they're probably not even in this country...”. So we contacted the network operator that held the number, but they refused to tell us who the company was that had that number registered to them quoting “...a breach of The Data Protection Act...”. We explained to them that The Data Protection Act did not offer protection to companies, but they refused to budge. So we called OFCOM, we complained that the telephony operator was being uncooperative verging on obstructive, but they couldn't have cared a less. It was beyond disappointing. Two days later, we had to give up. Yes, of course we could have left things in the hands of the Information Commissioners Office (ICO), but we figured that the ICO had enough on its plate and that we, if anyone, ought to be able to get to the bottom of the complaint and quickly… surely. Surely NOT! 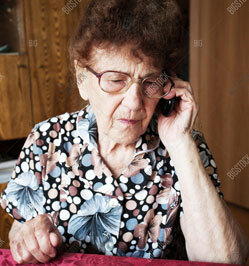 The elderly are especially vulnerable to hoax callers. The problem with the effectiveness of the TPS rests not with the TPS, but with OFCOM. OFCOM has the responsibility of regulating the telecoms industry and they need to pull their finger out and set a standard for the exchange of telephony information and enforce that in such a way that, in time, those operators at home and abroad who fail to meet that standard can no longer send telephony traffic into and around the UK. Traceability is the key to effective TPS enforcement and callers need to be properly identifiable in much the same way as identifying the owners of speeding vehicles is the key to the effective enforcement of speed limits. It doesn’t end there though. The second area where the TPS falls down is in the lack of action it takes against businesses breaching the TPS at the lower end of the scale. The ICO focuses its attention quite logically on the biggest offenders, but that means anyone operating below that bar stands a significant chance of getting away with it and this creates a sub-culture of blasé attitudes towards proper TPS screening. If companies were getting fined for a single TPS call you could bet your bottom dollar that company directors would sit up and pay attention. A law without a fully formed mechanism to enforce it effectively is a toothless tiger and ultimately that is why people complain that the TPS doesn’t work.